In 2008 Congress passed the first major overhaul of the Consumer Product Safety Commission (CPSC) since its creation. The new compliance laws provided for tough new bans on lead and phthalates, required larger printed warning messages on toy packaging, cracked down on smaller toy pieces that could choke a child and greatly improved CPSC’s ability to monitor and hold wrongdoers accountable. Toy vendors were required to be fully compliant as of this past February. Toy recalls have dropped dramatically from 2007 when 45 million toys and other children’s products were classified as unsafe. Still there is no magic bullet to instantly make ALL toys safe. With that in mind, the US Public Interest Research Group (PIRG) published its 24th Annual Report on Safety for the Toy Industry with guidelines to help parents in purchasing toys for little ones. It also provides examples of toys that may pose potential safety hazards. The law bans small parts in toys for children under three and requires an explicit, prominent warning label on toys with small parts for children between the ages of three and six. In addition, balls with a diameter smaller than 1.75 inches are banned for children under three years old. Unfortunately choking on small parts, small balls and balloons remains a leading cause of toy related deaths and injuries. In 2009 alone, 5.3 million toys and other children’s products were recalled due to choking hazards. Avoid small balls and round objects. Balls should be at least 1.75” in diameter for children under three. Avoid hand me down hazards – keep toys for older kids away from young children. Almost 15 percent of children ages 6 to 17 show signs of hearing loss. Noise-induced hearing loss can be caused by a one-time exposure to loud sound as well as by repeated exposure to sounds at various loudness levels over an extended period of time. In March 2007, the American Society for Testing and Materials adopted a voluntary acoustics standard for toys, setting the loudness threshold for most toys at 85 decibels, and for toys intended for use “close to the ear” at 65 dB. If a toy seems too loud for your ears, it is probably too loud for your child. Don’t buy it. Toys used close to the ear (like toy cell phones) should not be louder than 65 decibels, measured from 10 inches away. More info here. For “loud toys” you already own: take the batteries and/or cover the toy’s speakers with tape. Exposure to lead can affect almost every organ and system in the human body, especially the central nervous system. Lead is especially toxic to the brains of young children. 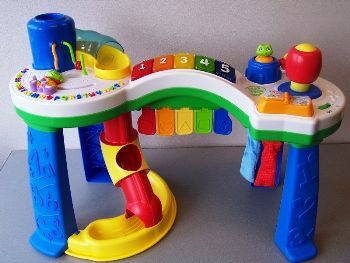 Despite the Consumer Product Safety Improvement Act (CPSIA) bans, in 2009 the CPSC has recalled nearly 1.3 million toys or other children’s products for violations of the lead paint standard and an additional 102,700 toys and other children’s products for violation of the 300 ppm lead standard. According to data from the U.S. Centers for Disease Control and Prevention (CDC), levels of phthalates found in humans are higher than levels shown to cause adverse health effects. The data also show phthalate levels are highest in children. Still despite a CPSIA ban, 2 toys were found this year that exceeded the maximum phthalate levels. 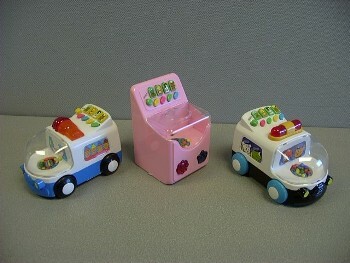 Check www.recalls.gov for recalled toys. Examine toys carefully for potential dangers before you make a purchase. US PIRG’s annual survey of toy safety should come in handy if you need an example of a dangerous toys for any of the categories mentioned. Shop with U.S. PIRG’s Toy Safety tips noted above in each section. As always, in the end, it comes down to you and I being vigilant in the toys we purchase. Hopefully the tips we’ve provided can be of some help…for the holidays…and beyond. Child Health & Safety News 12/3: Birth Control "Gel" for Men? Thank you for this important info. I have a five year old and an 11 month old and unfortunatelt toy makers don’t care about our children as much as we do. Thanks for the follow. I look forward to more great information as I follow you. .-= Bluesy-Nista´s last blog ..Merry Christmas! =-. .-= Clairity´s last blog ..Merry Christmas! =-. .-= veronica lee´s last blog ..A Day At The Beach =-. These are great things to know. Thanks for putting it all down in one place. I learned some new facts. Thanks for following me and I am now following you. .-= Kim Young´s last blog ..Merry Christmas =-. Wow! Your site is AMAZING! An informational blog is always a welcome blog on my bookmarks, espcially one such as yours that provides relevant information. I always worry about my children and the materials in their environment, so I will be checking back often. Thank you for the comment and follow on my site. .-= Vivanne´s last blog ..The Power of the Apron =-. Thanks for the info! I know that we had a toy that was recalled because of the lead and we threw it out as soon as we knew. Now I try to be a little more careful of what I buy and try to check the recalled list on various websites : ) You can never be too careful!! I love your blog, this is great. .-= Shannon ´s last blog ..Remaining Giveaways =-. Stopping by from MBC!!! I am now following you! .-= Melissa Jennings´s last blog ..The Great Cereal Giveaway! =-. Thanks for following ! Very informative blog, keep up the good work. .-= Candace´s last blog ..No resolutions… =-. This was very informative! I will tweet it. 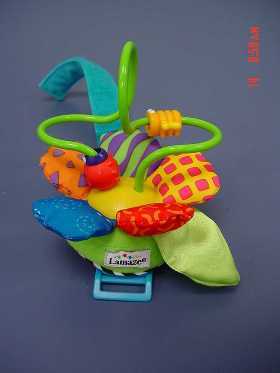 Was that Leap Frog toy in the picture recalled, because I have that! If you mean the Leap Frog activity set (i.e. the first picture), yes that was recalled. There is a repair kit that Leap Frog provides, so you should be able to salvage this. Very informative. Will definitely keep your blog close by! Thanks for visiting me at generationxmomblog.com! Hi Stefanie – I really appreciate you letting us know about your site. Thanks for checking me out as well, and as I expand my links, I’d like to add yours to my resource list (if that works for you). .-= Peryl´s last blog ..Things that are difficult to explain to your four-year old =-. Thanks Peryl – I really love your site too! And I’d be honored if you were to list us as one of your resource links. 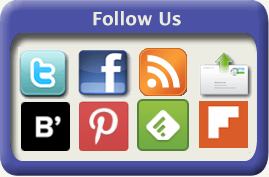 Thanks for following busylitlemonkey.com! Great to know about your site…very informative. I’m following you and looking forward to more information. What an awesome post. Very thorough and so many pieces of excellent information. I like the idea of the toilet paper roll. That is a good image for eyeballing whether a toy is safe based on size! Thanks. EXCELLENT idea for a blog! Thank you so much for the info! .-= Mommy Kennedy´s last blog ..Old Navy Sale; Items $5 & Under! =-.